February 20 2013 was a day like no other in the world of technology; and though its prime significance was centered around building the necessary expectations to usher in another great day in the world of technology, the day did spark off well… some other great things. Video game consoles are nothing like they used to be. Gone are the days where you bought a console for the sake of gaming. “Buy the game, then the cartridge or CD, insert, power on and play” is old news. Video game consoles have taken on several tasks that give even the non-gamer good reasons to get one. With the fact that they also provide hours of great gaming entertainment for both the kids and the adult minded, owning a video game console has finally become a set standard for modern homes. On February 20 2013, the PlayStation 4 was officially announced with Sony, giving presentations of several good things to come concerning various breakthroughs in video entertainment technology. The PlayStation 4 was billed to be released by late 2013 so, it would be quite a long wait for many. The wait might be worth it though; Sony’s fourth console entry to the PlayStation brand packs more than a punch in making sure “nothing is between you and the game.” It boasts of an 8 core Accelerated Processing Unit, 8GB GDDR5 RAM and 1.8 teraflops of processing prowess of which, even if you have no idea of what these mean, you just have a hunch that it must be powerful enough to deliver what you are expecting. Coming along is the PlayStation 4 eye which is a newly developed camera system that utilizes two high-sensitivity cameras equipped with wide-angle lenses and 85-degree diagonal angle views. There are also lots of comments about the new PlayStation 4 DualShock controller which comes with an “Option” button that replaces the traditional Start and Select buttons, a three axis gyroscope and touch panel. 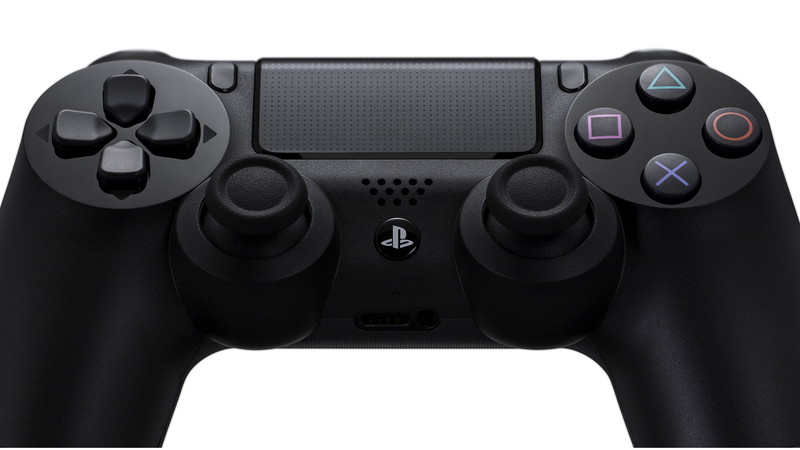 Will the DualShock 3 be compatible for the PlayStation 4? The answer is most likely a big no. A number of issues come up whenever you give a closer thought on the anticipated Sony pacesetter. One of these would be backward compatibility. Some people would not find it very palatable spending money on great PlayStation 3 games just to spend even more for PlayStation 4 games which also come on blu-ray discs. A single console that could run pre-owned games would be extremely user cost effective. Having acquired Gaikai, a cloud based service, Sony plans to render older PlayStation games and stream them to the PS4. Cloud based services play a very integral part of the PlayStation 4 concerning games and this could mean that without a good internet connection, you may not even have access to the games you may have bought on the online store. Worse still, you may end up paying again for a game you already own since you can only play older games through the cloud service. Is that really okay? Whether or not the PlayStation 4 would support blu-ray movies on 4K ultra high HD is still being rumored but having that would certainly do well to promote other offline functions of the console. The relationship between the still young-in-the-market PlayStation Vita and PlayStation 4 is unclear as well – if this remains, and no relationship is established, PS Vita owners might be headed for a level of heartbreak. The PlayStation 4 is estimated to cost about $400 – $600 which seems decent enough for its abilities. One other thought that comes to mind is what the future of console gaming would be. The PlayStation 4’s active social media integration involves a SHARE button on the DualShock 4 controller that allows the player to cycle through the last several minutes of gameplay to select a clip appropriate for online sharing. 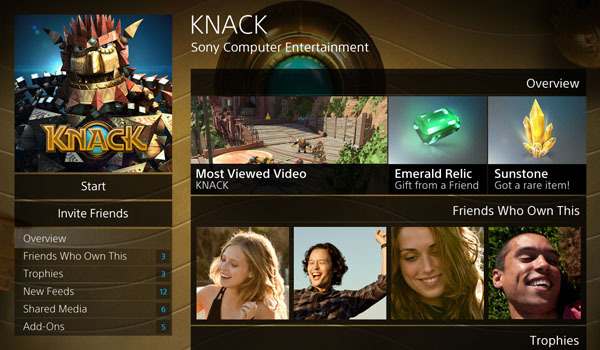 Videos can be uploaded directly from the console, either to websites or other PSN users. Players also have the chance to access their PlayStation online account using a PlayStation app available on the iOS AppStore and Google PlayStore. This App, is also mentioned to even support games as a second screen on compatible tablets and phones. With all these features, it is sure that Sony has done a rather impressive job in presenting a working entry to this current technology demanding age. But whether it would be the next big thing in gaming compared to its rivals is another question for another post. ← A “smaller” Surface… for a “bigger” issue?